It seems like there is a new “superfood” introduced every week. They claim to be able to do everything from increasing your energy, boosting your libido, and calming your mind to helping you live longer. While all of these things may be true, some of these foods can be challenging to locate, expensive, and even difficult to incorporate into your diet in some cases. I’m not saying to avoid these new foods. In fact, I encourage you to seek out new things to try and many of these exotic sounding superfoods have a nutritional content that is quite extraordinary. But, when you are in the early stages of trying to ameliorate your diet and trying to develop new habits it can be overwhelming to take on too many things at once. There are many everyday foods that, when you take a close look at their nutritional composition, can be considered “superfoods” in their own right. You don’t need to look any further than the produce section and bulk section of your local grocery or health food store to come up with a basket full of food that have an impressive list of nutrients and positive health effects. 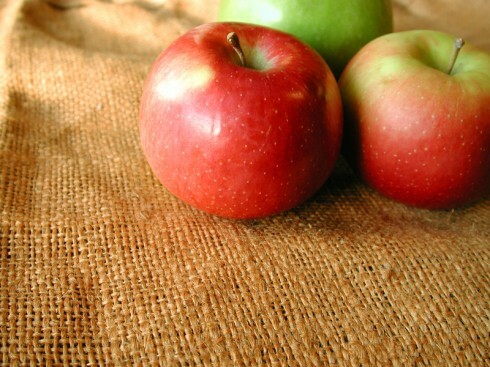 Apples – Raw, unpeeled apples are a source of important phytochemicals (ellagic, chlorogenic and caffeic acids), as well as flavonoids, like quercetin. They are also an excellent source of vitamin C, potassium, pectin and other fibres. Most of its nutrients are contained in its skin. Regular consumption has been linked to lower risk for heart disease, asthma, lower cholesterol levels, and increased bowel regularity. Broccoli – A member of the cruciferous family (related to cabbage), Broccoli is one of the most nutrient dense foods you can eat. It is very high in vitamin C, and also high in vitamin K, A, folic acid, lutein and fibre. Surprisingly, 1 cup of broccoli provides the same amount of protein as corn or rice! Broccoli has demonstrated many anticancer effects, particularly in the area of breast cancer, as there are compounds (specifically the glucosinolates indole-3-carbinole and sulforaphane) that increase the excretion of the form of estrogen linked to breast cancer. Legumes – Legumes are excellent for lowering cholesterol levels improving glucose control in diabetics and reducing the risk of many cancers. Dark, rich coloured beans, like small red kidney beans, have levels of antioxidants that rival those in blueberries! The common beans (black, kidney, lima, navy, mung pinto, and string) are an excellent source of fibre, folic acid, Vitamin B6, magnesium, and antioxidants. Lentils have a nutritional composition similar to that of the common beans. Chickpeas contain high amounts of molybdenum and manganese, and are a good source of iron, magnesium and copper along with all the nutrients in the common beans. All beans are an excellent source of protein, and when combined with a grain to make a complete protein they are an important part of any vegetarian diet. Kale - Although all dark, leafy greens can be considered a “superfood” in their own right, kale is considered to be one of the most highly nutritious vegetables. It is a member of the cruciferous family (related to cabbage) and is an excellent source of carotenes (especially beta-carotene, lutein, and zeaxanthin), vitamins C and B6, and manganese. It’s a great source of fibre, and many minerals, notably iron, calcium, and copper. Kale exhibits the same anti-cancer properties as the other member of the cabbage family and is extremely high in chlorophyll. Braise it, put it in soup, add it to smoothies, or make it into chips, but whatever you do, make sure you give this nutritional powerhouse a place in your diet. Nuts & Seeds – Despite containing a relatively high amount of fat, nut consumption is linked to lower obesity rates, lower risk of heart attacks and heart disease, and lower risk of Type II diabetes. Most nuts and seeds are excellent sources of essential fatty acids, vitamin E, protein, and minerals. Some of the best nuts and seeds to include in your diet include almonds, flaxseeds, pumpkin seeds, pistachios, sesame seeds, and sunflower seeds. Garlic – Garlic has been shown to offer protection against heart disease and atherosclerosis, lower cholesterol, lower blood pressure, and has a long history of use as an infection fighter. An excellent source of vitamin B6, manganese, selenium and vitamin C, garlic is probably best known for the therapeutic effects of the many sulfur-containing compounds that it contains. Crushing or chopping garlic is what activates the enzymes that converts aliin into allicin (the compound to which most of garlic’s health benefits are attributed), but be sure to do it fresh. Pre-minced/crushed garlic does not contain the same therapeutic qualities. Onions – Onions are a very good source of vitamins C and B6, biotin, chromium, and fibre. They are also a source of folic acid, Vitamin B1, and Vitamin K. Onions can decrease blood lipid levels, prevent clot formation, and lower blood pressure. Onions also appear to have a positive effect on lowering blood sugar levels. Onion extract has been shown to destroy tumour cells and stop tumour growth in lab tests. Coconut Oil – Coconut oil got a bad rap in the 1950s when it was mistakenly accused of contributing to the development of cardiovascular disease. Since then, numerous studies have actually shown the fat in coconut oil increases HDL (“good” cholesterol), protects against heart disease, promotes weight loss, and has significant anti-viral and antibacterial properties. The antiviral properties of coconut oil have been found to be so potent that they are being investigated as a treatment for AIDS patients. The medium chain fats are easily absorbed and preferentially used as an energy source, not sent to fat storage, so the burning of them actually increases your metabolic rate. As you can see, you don’t have to look too far to find some powerful healing foods. In fact, you may have many of these in your fridge and cupboards right now! I encourage you to try some of the new, highly nutritious foods that have been introduced to us in recent years, but hope that you won’t ignore some of the more common foods that are “superfoods” in their own right.